6 Bedroom House For Sale in Towcester for £875,000. 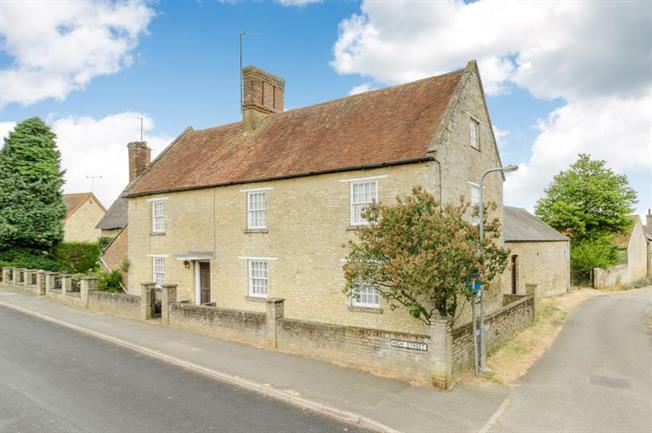 A wonderful opportunity to acquire this sizeable Grade II listed home, in the picturesque village of Potterspury. Sited on a plot believed to be approximately a third of an acre; with an additional barn/outbuilding approx. 39' x 18' in size; this property has an exceptional level of potential. Potterspury is a historic village found on the A5 between Milton Keynes and Northampton. Access to MK Central Station (with routes into London Euston) is easy and takes approx. 10-15 minutes by car. The main house, whilst in need of modernisation throughout, is in excess of 3600 sq. feet and has many reception rooms (including a cellar) and bedrooms spread over three floors. The accommodation in brief comprises: Entrance hall, living room, sitting room, dining room, study, lobby, 24'6" x 17' games room, separate WC and bathroom, kitchen/breakfast room, first floor landing serving three bedrooms and WC and second floor landing serving a further three bedrooms. An internal viewing with an open mind is HIGHLY recommended to fully appreciate the potential of this home.